This quilt is one of my favorites. It combines bright colors, simplicity and structure perfectly for my taste. Although I made this one using traditional primary colors it could easily be made using any fabrics you like. I would love to make one with big blocks of Kaffe Fassett or Amy Butler fabrics! The construction of this quilt is simple too and the top sews up quickly, so cut your fabric pieces and let’s get started. Shortcut: I didn’t want to have to stop every little while to sew black strips together so I cut the black into a bunch of 2.5″ strips and then sewed them into one long strip. Then I would sew black strip onto the block and cut it off when I got to the end. No measuring! I broke the blocks up into 3 main blocks. Sew the blocks together as shown. Sew on the black boarder. Make your quilt sandwich, I used white for my backing. For the quilting, I recommend a simple meandering. I think it does something to soften the hard square edges a little. I bound mine with black. *Please note in the comments that some of the measurements are wrong. I haven’t been able to fix them. Hi Rachel – I thought you should know there are a couple of errors in your pattern. Most are obvious due to your excellent diagrams, but one caught me by surprise and I had to re-cut the piece. 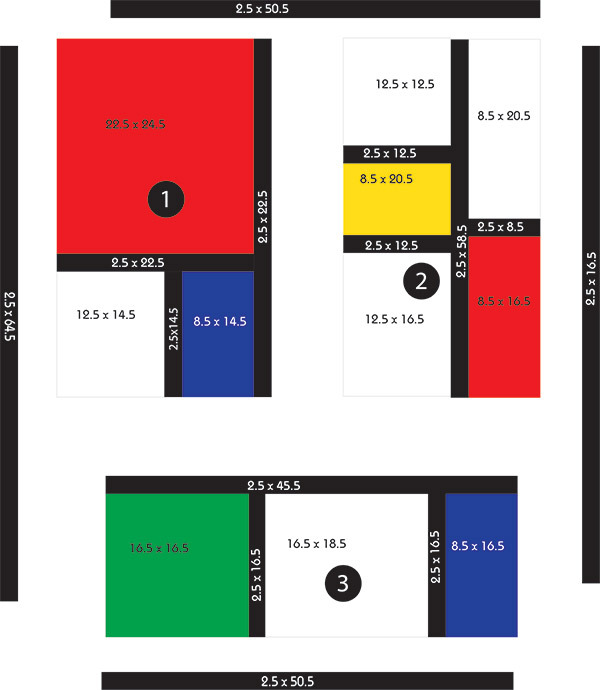 The red piece in block 2 is listed as 8.5 x 16.5. It should actually be 8.5 x 18.5. Looking back at the photo now it seems obvious, but I missed it initially. Thanks for this – I am enjoying making it and will send a photo when it’s done! Ugh! I will change it right away. Thank you for catching that and I’m so sorry you had to recut! 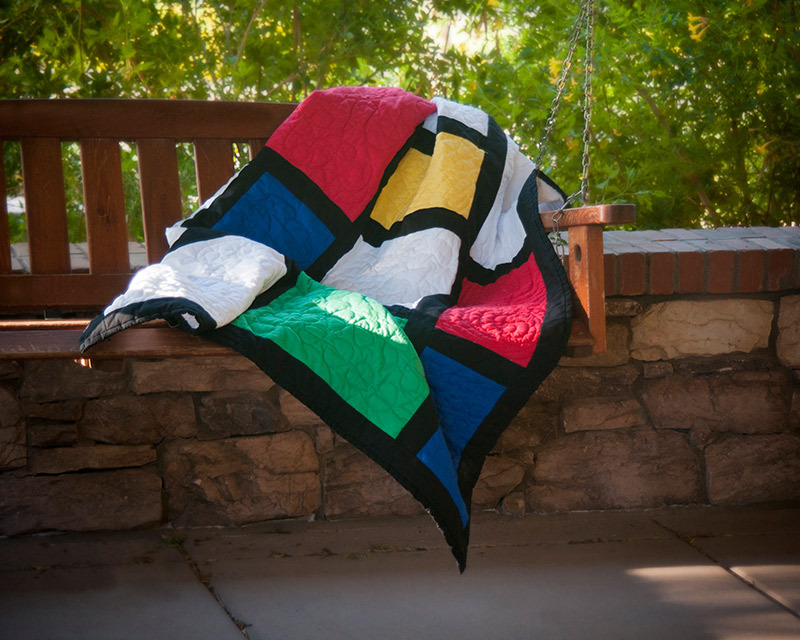 Love seeing this–your finished quilt and the tutorial. Good for you. 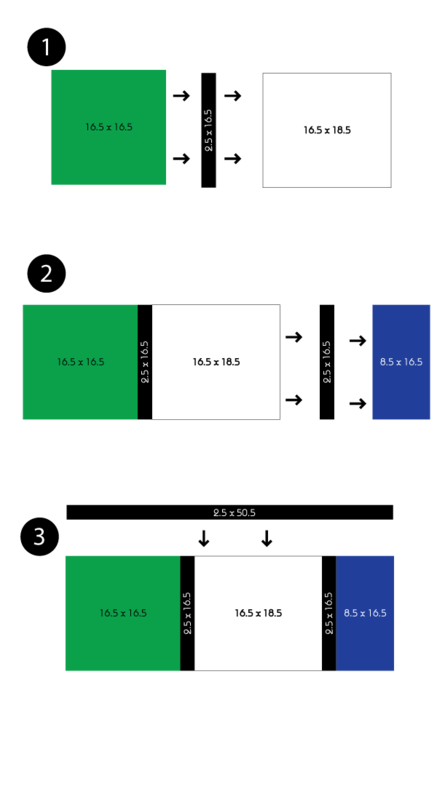 I think the sizes for the right-most white block and the size for the yellow block are also incorrect. They both state 8.5×20.5 and yet visually, they’re different sizes. Yes, I will try to correct them as soon as I can. I would love to figure that out for you but I’m terrified I would get it wrong. I’m so crappy at some of that stuff. I’ve been a big fan of 9-stitches.com for a while now. The article below shows how to resize a quilt. I hope this helps. This made me so happy! If you can figure out how to send it in an email, I’d love to see it. Hi, Rachel! 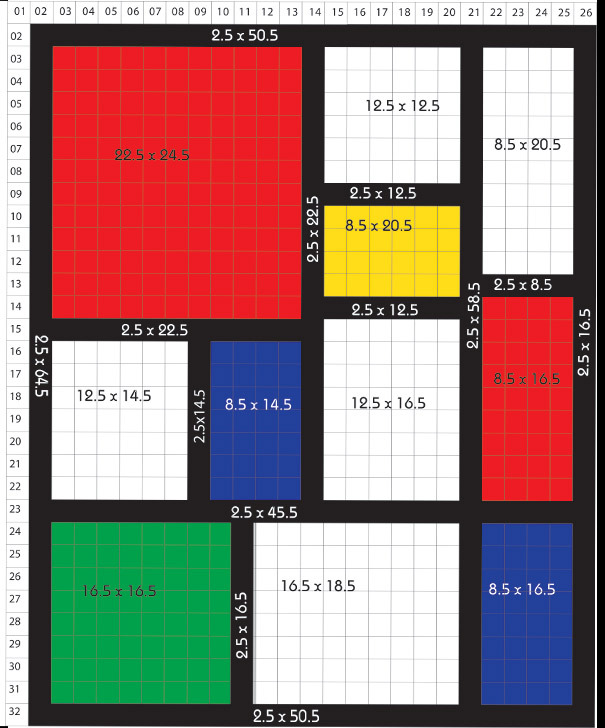 I would love to make this quilt but it seems the blocks and strip measurements aren’t correct (more than mentioned above). Can you tell me the correct block sizes? I think I can figure out the sashing strip sizes from there. Thank you! Has anybody made this with prints? Is there any way that I could get updated measurements on the Bauhaus quilt expanded. I have the material ready to cut just need the measurements. Thank you. It was hard without the correct measurements and I wasted a bit of fabric, but the finished quilt was worth it…I added a small border…wish I could add the photo. Places I find inspiration, and things that make me happy. offers beautifully crafted, custom handmade quilts, along with DIY quilting advice and tips. Get comfy!